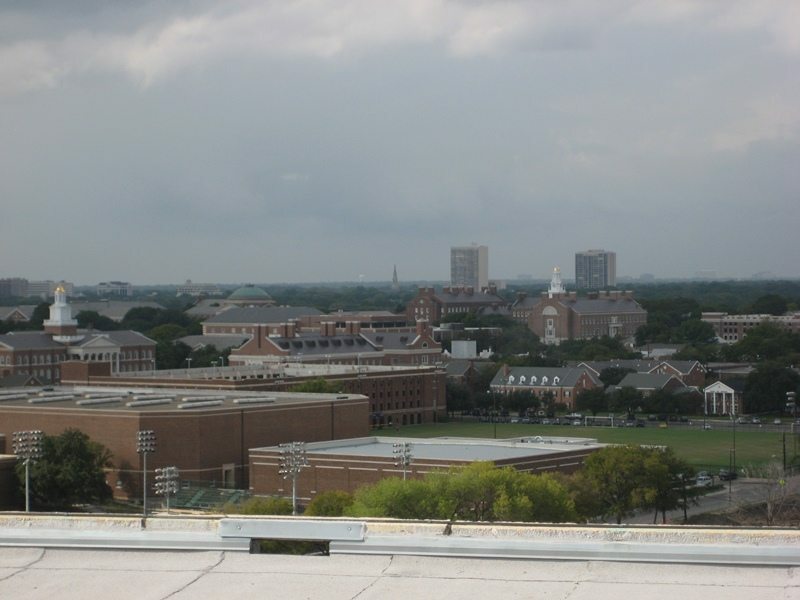 Sometimes our site work leads us up to the roofs of very tall buildings. This is not a place most people are ever allowed to go! It can be a real treat and you have to pause, before diving into the work at hand, to at least look around at the amazing sights offed by this vantage point. 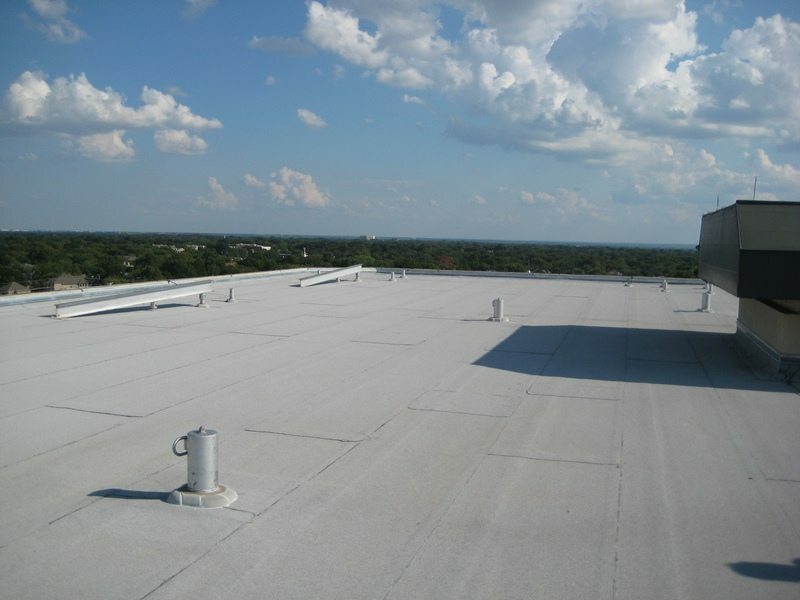 These pictures are from the roof of Mockingbird Station in Dallas, TX where we were designing the installation of a new 100% outside air unit. 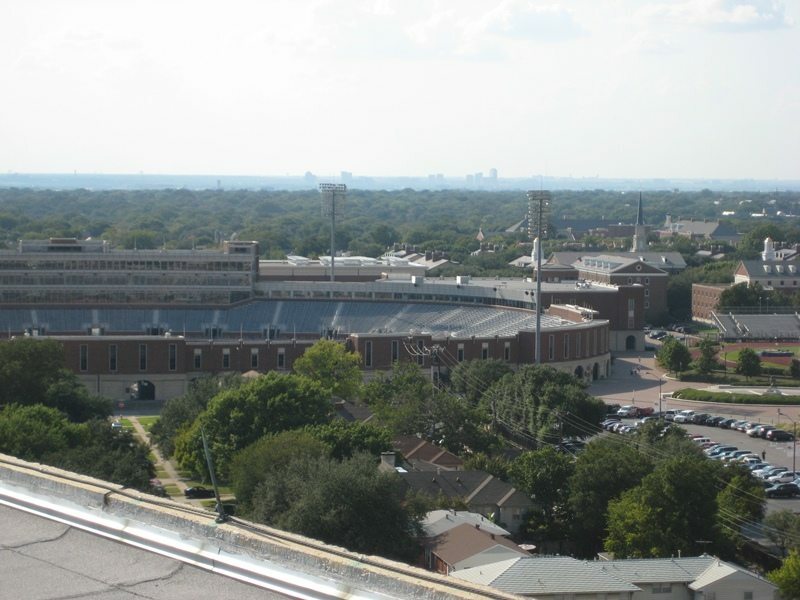 The haze shrouded Dallas skyline was a dramatic backdrop to the south and the buildings and stadium of Southern Methodist University were visible to the north. The views are amazing, but it can be pretty brutal working up there in the dead of winter or height of summer!